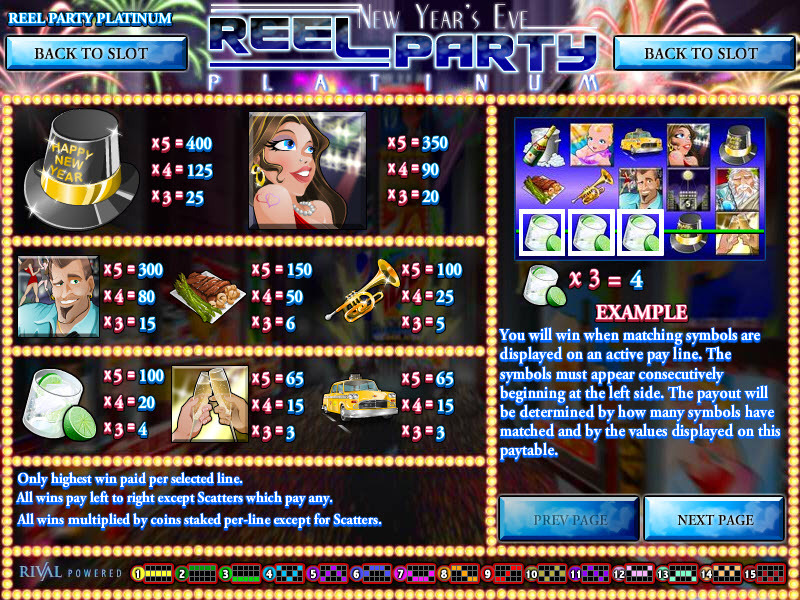 Overview: Every night is New Years Eve with Reel Party Platinum. Join the crowd and take the party upscale and uptown. 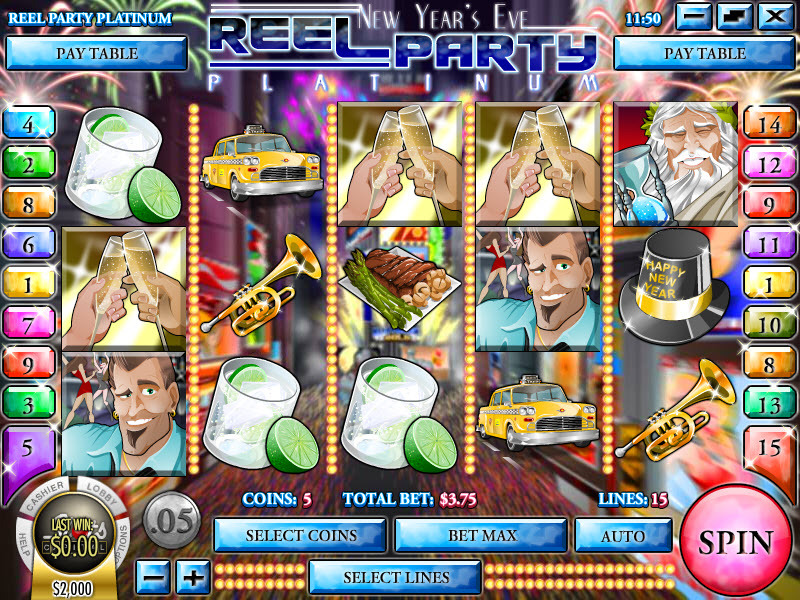 Say goodbye to Father time, welcome in the New Year Babe, and get ready for a year filled with fun and fortune. Just when you think the party may be winding down and wrapping up the "Bubbly" bonus game lets you pop a cork on a fresh bottle of champagne to get things going again. 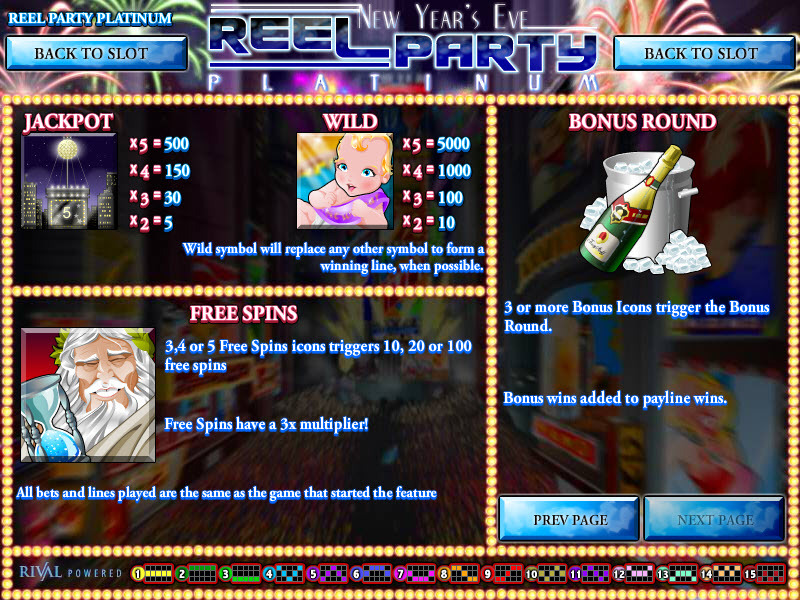 Similar Slots: If you like Reel Party Platinum, you might like these other Rival video slot machines: Diamonds Downunder, Golden Gorilla, Lion's Roar, Silver Unicorn, Wheel of Cash.